MSI Customer Support recently told a customer that the upcoming 3rd generation AMD Ryzen “Matisse” processors will not work on their 300-series chipset motherboards. The customer then posted the response on Reddit and a number of hardware sites reported that AMD Zen 2 processors might not be supported on MSI’s 300-Series motherboards. The Reddit user owns the MSI X370 XPOWER GAMING TITANIUM motherboard, which was one of the most expensive X370 motherboards that one could buy at $299 when Ryzen first launched in 2017. AMD has always long said that AMD socket AM4 motherboards would be both backwards and forwards compatible for many generations of Ryzen processors up to the year 2020. 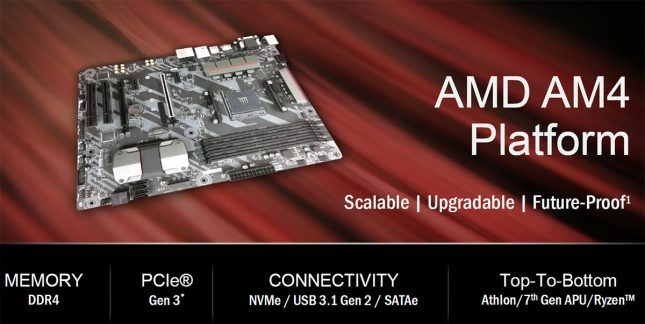 We went back to our press deck archive and found that in 2017 AMD used the term ‘future-proof’ on many of the AMD AM4 platform marketing slides that we were shown to reviewers. The newer slide decks released in 2018 noted that AMD Socket AM4 support stability would allow users to upgrade their processor without needing to buy a new motherboard. 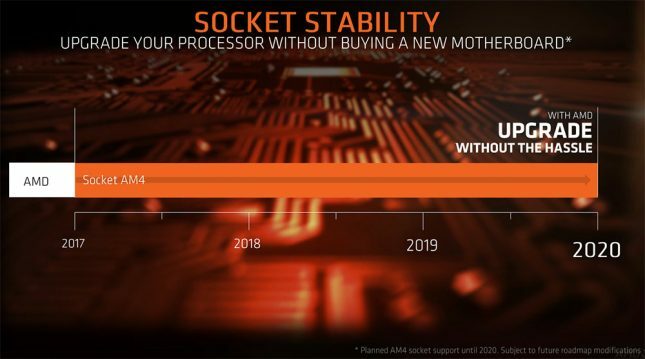 The upgrade path for Socket AM4 started in 2017 and ended in 2020 on the slide, but there was some fine print at the very bottom. It says: “Planned AM4 socket support until 2020. Subject to future roadmap modifications.” That basically leaves AMD and board manufacturers some wiggle room and to be fair we don’t expect every single AMD AM4 board from 2017 to support the flagship Zen 2 processors when they come out. For example some of the very low-end boards might not have a properly designed power delivery system for some of the higher-core parts that AMD is going to be releasing. That said, we’d hope the flagship Z370 boards from 2017 that were close to $300 were overly built in the hopes that they would be able to power the future AMD Ryzen processors years down the road. The good news is that AMD released a statement today that they are still performing extensive testing on our existing lineup of 300- and 400-series AM4 motherboards to verify potential compatibility for the next-gen AMD Ryzen CPUs. Towards the launch of the next-gen AMD CPUs, MSI said they will release a compatibility list of MSI AM4 motherboards. So, it sounds like some boards might not be fully compatible and we expected some of the lower-end boards to be in that position. MSI also released a full list of upcoming BIOS versions which include compatibility for the next-gen AMD APUs for their 300-Series and 400-Series AM4 motherboards based on the latest AMD Combo PI version 1.0.0.0. 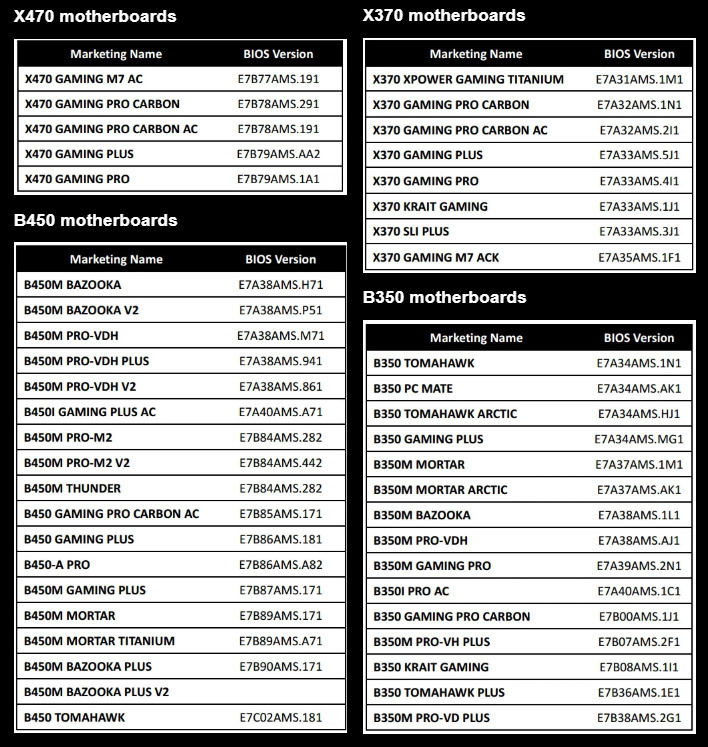 The list includes existing X470, B450, X370, and B350 motherboards. These BIOS versions are expected to be released in May this year. This should help ease much of the recent speculation that most AMD 300-series motherboards wouldn’t be compatible with the new AMD Zen 2 CPUs, despite the original AMD assertion of AM4 CPU compatibility up to 2020. This list really puts our concerns to bed for the B350 boards as we were worried a bit about them. The AMD B350 boards only had 16MB BIOS chips versus the 32MB found on the other chipsets. It looks like AMD and the board makers have found a way to get all the needed CPU microcode to fit inside the smaller BIOS chips.